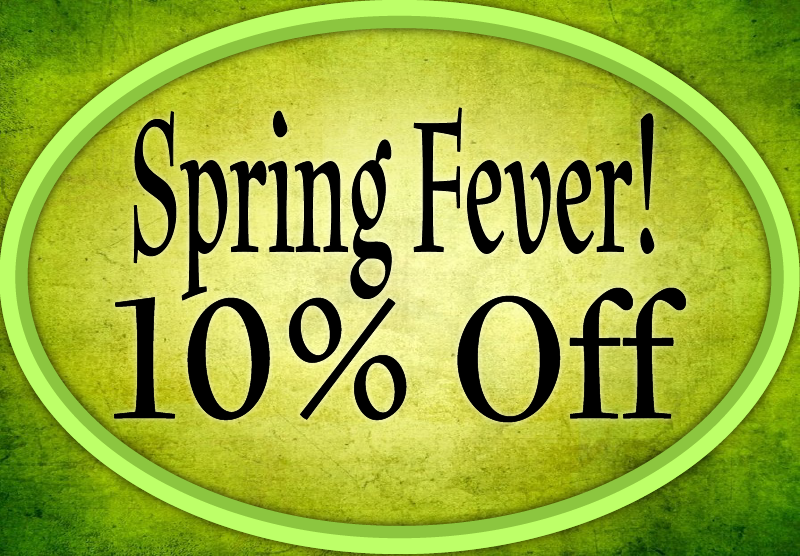 It’s time to embrace Spring Fever with warmer weather and an automatic 10% off all orders until April 22nd! All products, excluding gift certificates, are eligible. Free shipping will still apply to orders that total $50, or more, after discount.